What if you’re a little girl who loves horses, but you had a bad experience with a pony? Should you continue horseback riding? Should you give up when things get rocky? Should you persevere through setbacks? Here are my thoughts on it. First of all, it’s not a good plan to give up on your goals and dreams because you could establish a pattern of giving up when things get a bit rocky. This is not helpful because when you give up you fail to move toward your goal, regardless of what it is. The best way to overcome your fears is to persevere. My dad said “Anyone who has never fallen off a horse or pony, hasn’t ridden much.” It’s not that falling off gives you a badge of honor, but in horseback riding, we realize, we all endure disappointments and setbacks, as we do in life. My parents taught their daughters it’s not the setbacks, or the falling off your horse that matters. It’s what happens when you get back on and try again. This builds character. It’s your test so keep in mind champions don’t give up. If you want to become one, don’t let the setback define you, or defeat you. What can you do to ensure you’ll have fewer falls and setbacks? Be sure you take lessons with a qualified horseback riding instructor. Your teacher will help you learn how to handle your horse or pony and avoid bad behavior by your horse or pony. Did you know horses or ponies sense when you’re afraid? They also know when riders are inexperienced and they can take advantage of the situation by acting up. Your instructor will guide you and show you how to handle any situations that come up and you’re more likely to build confidence in your abilities. Conversely, if you’re riding without professional guidance, your horse will take advantage of your inexperience. In short, you’ll have positive, confidence-building memories if you have a good instructor. In summary, set your goals and focus on them. When I grew up, our family motto was”The Humphrys don’t give up.” There were many occasions when I fell off multiple times a day and it was temping to quit. 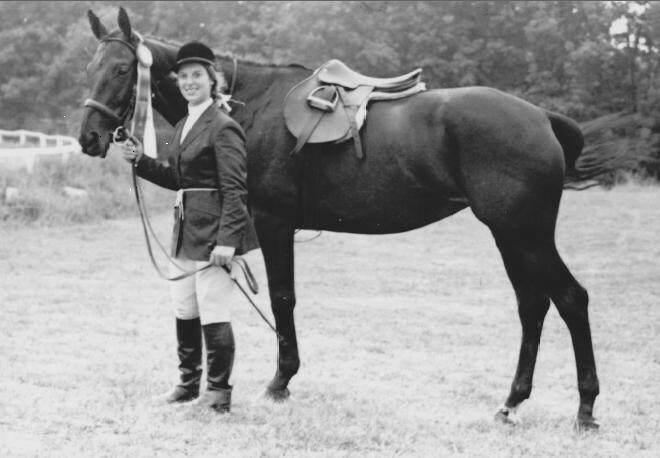 But my single passion was to become a horseback riding champion and I knew champions don’t quit. So whenever things don’t go as you hoped, keep your goals in mind and continue to move toward it. You’ll get there. In fact, you could be closer than you think. Remember, perseverance is the key to success. The post Horseback riding: Should you persevere through setbacks? appeared first on deaniehumphrysdunne.wordpress.com.